Our Partners: University of Iowa | DayTranslations, Inc.
University of Iowa staff and students enjoy 10% discount on all translation and interpretation services from Day Translations, Inc.
A mutual alliance has just been established between Day Translations, Inc. and the University of Iowa (UIowa). This alliance extends to all UIowa staff and students a discount for all their translation, interpretation and other language services requirements. 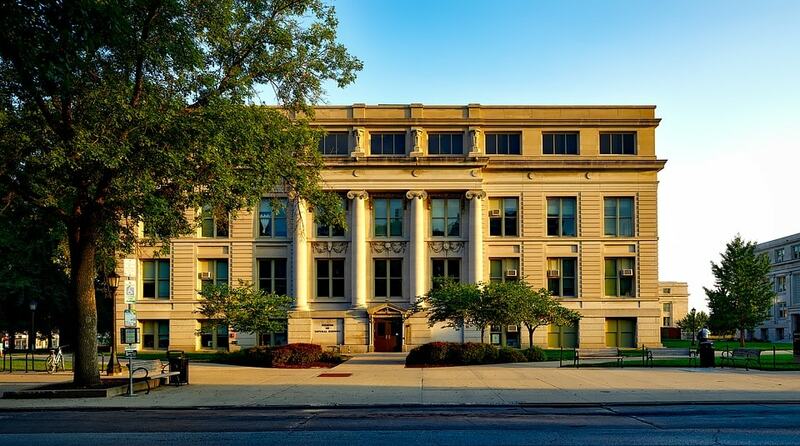 Day Translations Inc., and its partnership with the University of Iowa, the oldest public research university in the state and a Public Ivy, provides mutual benefits for the two institutions. The university staff and students, especially the international students, will receive a 10% discount on all their translation and interpretation requirements. We at Day Translations get the chance to provide our excellent and expert language services to the university. With our credentials, we will be of great help to international students hoping to get accepted to the university through our academic evaluation and transcript translation services. We are experts in document translation, immigration and passport assistance services and certified translations among our other language services. You can get in touch with us anytime of the day, every day of the week, wherever you are. Day Translations, Inc. is a language service company that is known for its accurate and fast translation and interpreting services. If you are connected with the University of Iowa, you can claim your special discount on our translation, interpretation and other language services by using the request form on this page or by sending us an email at contact@daytranslations.com. The University of Iowa, a public research university is the oldest institution of higher learning in Iowa and is a Public Ivy. It was founded in 1847 and now has eleven colleges and offers seven professional degrees and over 100 areas of study. It has an alumni network of more than 250,000. Its expansive campus covers 1,900 acres along the Iowa River. It is known as the pilot of the Master of Fine Arts degree and is the operator of the internationally recognized Iowa Writers Workshop, which has produced 13 Pulitzer Prize winners since 1947. The research-centered university is a member of numerous research alliances, such as the Committee on Institutional Cooperation, the Universities Research Association and the American Association of Universities. The university has an academic staff of 2,296. For fall 2013, it has a total of 31,065 students, 21,974 of which are undergraduates. Postgraduate students number 9,091 for Fall 2013. Many of the professionals in the State of Iowa were from this university, which ranks 71st overall nationally and 27th among the public universities in the United States, as ranked by the U.S. News & World Report. It ranks 43rd in the entire country in total development and research expenditures, according to the National Science Foundation. The well-rounded university offers various activities for its students and has more than 500 student organizations. Some notable faculty members include John Irving, Philip Roth and Kurt Vonnegut. The University of Iowa boasts of its long list of famous and distinguished alumni, such as Gallup Poll founder George Gallup, author Tennessee Williams and actor Gene Wilder. Other equally famous alumni include novelists John W. Irving, Robert Penn Warren,Marilynne Robinson, Jane Smiley and Mary Flannery O’Connor and internationally-known physicist James Van Allen. He was the discoverer of two radiation belts that were named after him. Ashton Kutcher, Mark Mattson and Tom Brokaw also attended the university. Iowa is rich in history and there are so many interesting facts about the city and the state that are worth sharing. We at Day Translations, Inc. are lucky to encounter such incredible facts about places and people in the course of our service to the community and the world at large through our translation and interpretation services. Iowa is the birthplace Bix Beiderbecke and Glenn Miller and jazz has a major influence in the city as a whole. A broad range of talents are from Iowa, such as entertainers Andy Williams, Johnny Carson, Donna Reed and John Wayne. In food science, there’s Norman Borlaug, Clyde Cessna, Cessna Aircraft Corporation founder was an Iowan. Ted Waitt, the founder of Gateway Inc., who is also a billionaire and philanthropist, is from Iowa as well. Also from Iowa were the 31st U.S. President Herbert Hoover and the 33rd U.S. Vice President Henry Wallace. Iowa is famous for educational excellence, especially in reading, math, science and writing. The term “huddle” used in football was created because there was a deaf football player who was using sign language. His team did not want the other team to see the signals he was using and so they huddled around him. San Diego Padres is the only team in the MLB that carries the name of the city and the team in a foreign language. “Set” is only word in the English language that has the most number of definitions: 464. One sentence in French from Victor Hugo’s “Les Miserables” contained 823 words. In the English language, the longest word contains 1,909 letters. It describes a unique part of the DNA.